Line baking sheet with parchment paper and set aside. Preheat oven at 325°F. Mix all ingredients together until the CARNATION BREAKFAST ESSENTIALS® Powder dissolves. Place mixture on a parchment lined baking sheet. 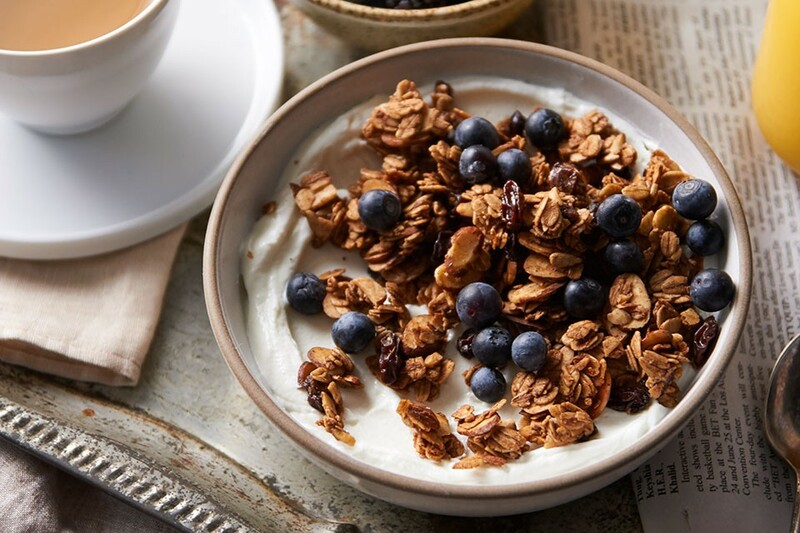 Bake for 30 minutes, stirring every 7-10 minutes until granola is dry and crunchy. Cool granola before eating or placing in containers.